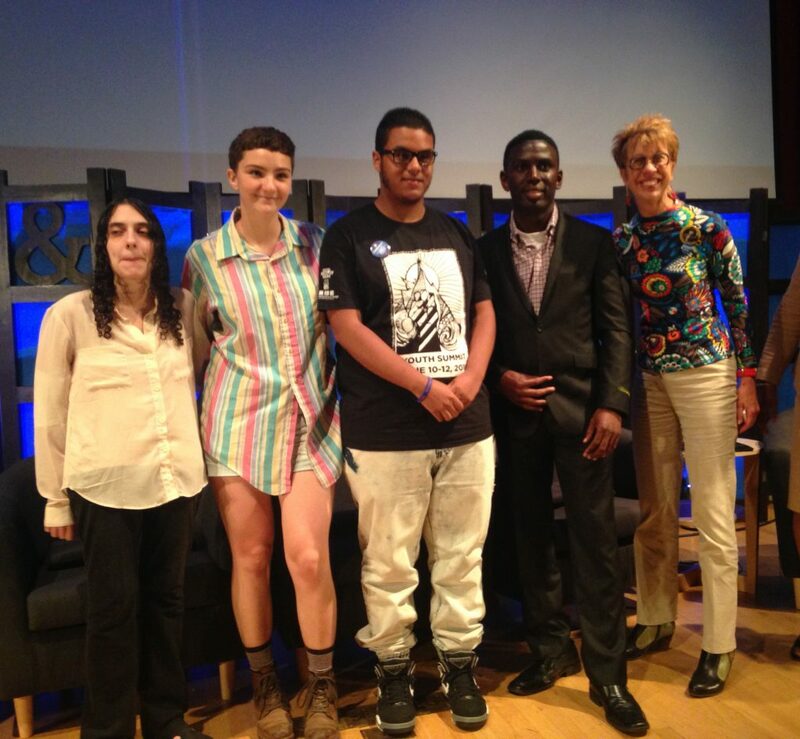 I had the terrific opportunity to moderate the inaugural Youth Ideas panel with the overarching theme of “Interrupting Injustice” at the International Arts & Ideas Festival. It seems only fair for me to pass along some key points shared by four local activists in New Haven, Connecticut. Click here for brief bios of these inspiring change agents. 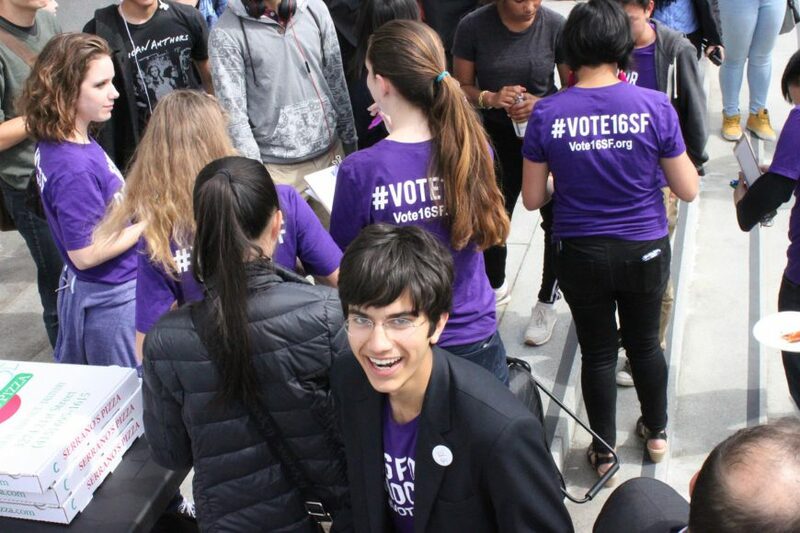 “Just start…People are waiting for someone to take a stand.” Jeremy Cajigas, now 16, launched Eliminate Racial Profiling because “Fear is what caused me to make my voice heard. Trayvon Martin could have been me.” Jeremy cold-called the Mayor and got her and the Police Chief to come to a youth-organized summit. One outcome: students now are teaching cops how to interact with teens. “Relationships are the foundation…Emotional community building is at the heart.” Isabel Bate, now 18, has been “co-leading” LBGTQ +Kickback for nearly three years. This youth-led organization really knows how to provide “a safe, inclusive space” which is captured in this video. Youth organizing work is multi-faceted…“focusing on restorative justice which includes probation, mentoring, community service rather than the punitive system,” explains Montrel Morrison. He co-founded the annual NAACP Juvenile Justice Expo at Southern Connecticut State University and currently mentors and coaches young people. “Personal outreach is what builds a movement rather than relying only on flyers and social media,” explains Carolina Bortolleto, co-founder of CT Students for a Dream. Sharing stories about being “undocumented and unafraid” gives courage to others and now immigrant youth–not only adults–are testifying and meeting with state legislators. Invite and include individual youth by encouraging them to contribute their artistic talents like creating spoken word, chants or banners. “The rising of a powerful generation,” Jeremy’s tag line, means adult allies need to listen more rather than always lead. To draw further inspiration and ideas on community organizing, I recommend When We Fight We Win! Twenty-First-Century Social Movements and the Activists That Are Transforming Our World by Greg Jobin-Leeds and AgitArte.